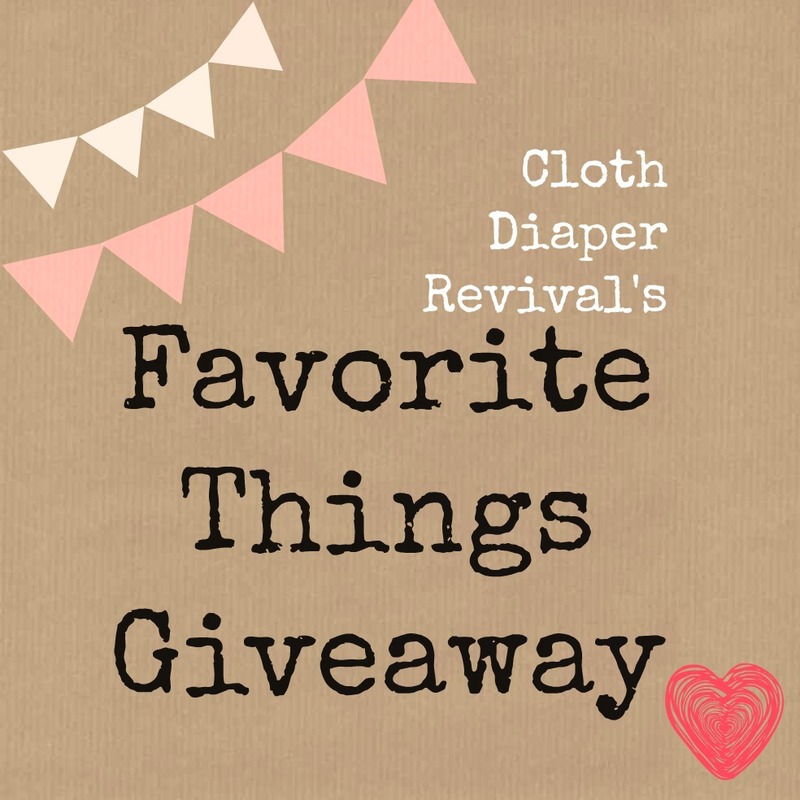 Welcome to Day 2 of the 2013 Favorite Things Giveaway! Each day I will be showcasing one of ten products that have been a favorite for me over the last year! After the last post has been published, a giveaway post will follow! You will have a chance to win a prize package that contains everything from the 2013 Favorite Things Series, valued at over $200! You can see what was up for grabs last year and read about the 2012 Favorite Things here. Have you made the switch to cloth wipes? I love using cloth wipes and hate the rare occurrence that I use a disposable wipe. One cloth wipe easily does the job that I may need 4 or more disposable wipes for! You may be intimidated by cloth wipes, but I promise you it is easy! If you are already cloth diapering, it really is no more work! My favorite cloth wipes are Thirsties Fab Wipes! They are really thick and just the right size! I love how soft they are and the bright colors are fun too! 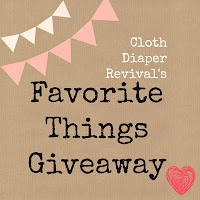 These wipes were included in last year's Favorite Things Giveaway, but I still love them so much that I'm including them again this year! Thirsties is generously sponsoring not one, but two packs of Fab Wipes for one lucky winner as part of the Favorite Things Giveaway! Follow along for more products in this year's giveaway and your chance to win soon! Can't wait to win them? 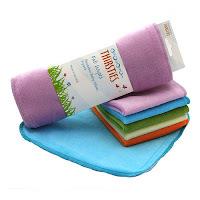 You can purchase a 6 pack of Thirsties Fab Wipes from Kelly's Closet for $11.95! Have you made the switch to cloth wipes? What's holding you back? do you just use water or do you use a solution on them? If you use a solution, where do you keep it? I am going to use cloth wipes and I dont want to shell out big bucks on the pre-made solutions. I buy wipe bits to use, but many people make their own solution. I prefer a solution over just water. My reasoning is that if I wet my pants, I wouldn't want to clean up with just water. Make sense? I've been sort of thinking about cloth wipes, but honestly leaning more towards disposables. Only needing one instead of the mountain of disposable ones you have to use is shifting my thoughts though! Cloth wipes are super handy for more than just bottoms... especially when you catch a cold! Thirsties Fab Wipes probably make the softest "tissue" ever, and feels sooooo much better on a dry, chapped nose than paper products! It makes more sense to wipe with cloth when you diaper with cloth because you can just toss it all in the diaper pail. I was hesitant to use cloth wipes too. But, after having to deal with separating out disposable wipes from the CD and then having the smelly trash from the wipes, I decided to give them a try. It's so much easier to just wash everything. They don't need any special treatment. I've used them with and without a solution, but I like them best with the solution. I feel like it dries out my LO's sensitive bottom less and that it cleans better. I've also found them handy for cleaning up dirty faces and hands. .. and to be honest... when I'm behind on laundry, I'll sometimes use one wipe more than once (if it's a light pee diaper, I just use one end of the wipe, fold it in half and then use the outside the next time around).. it's probably a little gross, but with my heavy wetter, I have to change her every hour to prevent leaks, and that ends up being a LOT of wipes/wipe solution. Is a diaper warmer necessary? Would it work as well if I just ran it under warm water then used the wipe bits?